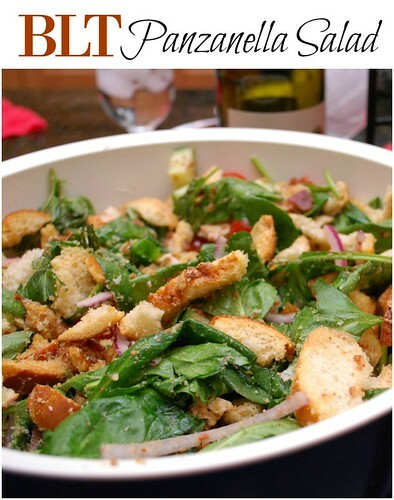 A panzanella is a classic Italian salad made with day old bread, tomatoes, onions and a simple vinegar and olive oil dressing. Taking the base recipe, I added bacon and turkey to make it a heartier salad perfect for a meal in of itself. In a large skillet over medium-high heat, melt butter and add bread to toast. Sauté 5 minutes or until lightly browned, stirring occasionally. Transfer bread to a large bowl. Add the tomatoes, greens, onions, turkey and bacon to the bowl. Combine the salt, pepper, vinegar and oil in a small bowl and whisk. 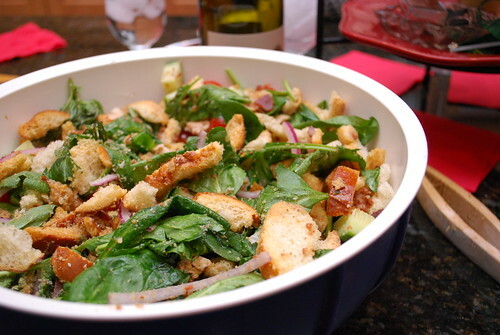 Drizzle over salad in bowl and toss to coat.